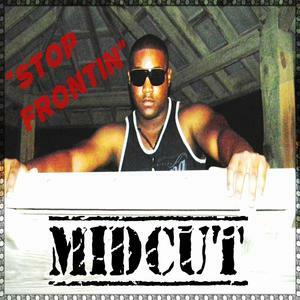 .FOLLOWING the path of many hip hop artists, Midcut began rappin’ as a teen by showcasing his skills to his family and friends. Encouraged by their response, he began performing at local venues, throughout Alabama, Georgia, and a few years in Miami; but Alabama is home, and where he represent. His first influences were New York and La. rappers; and later artists from Atlanta. Merging the east, west and south styles to his skills influenced his writing and rappin’ to a point that his sound has more of a universal flavor than just south. Several local producers took notice, and began releasing mixtapes, singles, videos, and other promotions on him. As the buzz around Midcut began to build, he attracted the attention of Blu, an executive and producer with New York based indie label, Black Eye Records; who signed him, and is in the process of releasing a Single and Video, with an Album to follow. MIDCUT desire is to create sounds, and a style that is not out there; and toward that goal, his new Single is just a small part of a larger vision he and Black Eye Records are working on to take his career to the next level. .